How's this for a resume? Two John Wick films, Captain America: Civil War, Atomic Blonde, and Deadpool 2. Those are all credits that belong to director David Leitch, some of which saw him behind the camera solo, others working alonside Chad Stahelski, and in the case of 'Civil War' as a second-unit director. It's no wonder he's the most sought-after action filmmaker around, with the Hobbs & Shaw spinof next on his agenda. And then after that? 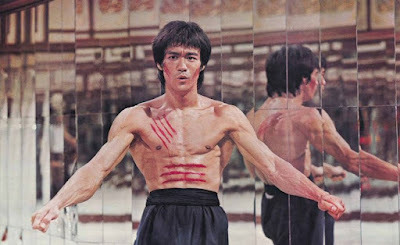 Leitch is in line to remake the Bruce Lee classic, Enter the Dragon. Leitch is in talks for the long-in-the-works remake of Bruce Lee's 1973 martial arts classic, Enter the Dragon. The film was completely original for its time, thrusting Lee into the middle of a spy story that doubled as a kickass kung-fu flick. He played a man recruited by the British government to infiltrate an underground martial arts tournament in hopes of defeating the crimelord behind it. What he also discovers is that his sister's killer is working as a body guard for the crimelord running the tournament. The film also co-starred the late Jim Kelly, the great powerhouse fighter Bolo Yeung, and the underrated John Saxon.